Butterfly houses have gained enormous popularity in recent years. The first butterfly house opened in 1976 on Guernsey Island in the English Channel. Since then, over a lot of butterfly houses have opened, including the beautiful London Butterfly House. The first butterfly house to open in the United States was in Coconut Creek, Florida, in 1988. Since then, houses have opened around the U.S., including the Sertoma Butterfly house in Sioux Falls and the Seattle Center Butterfly House. These houses help to educate the public. So why did people begin building butterfly houses and gardens? There are a few reasons. First, many types of butterfly species are endangered. Preserving butterflies is one way that people are responding to this predicament in an environmentally-friendly way. Second, butterflies are beautiful creatures that have long caught the attention of gardeners. The addition of a butterfly house to a home garden adds charm and beauty. Butterfly houses can be built anywhere in the United States. The basic requirements do not change based on location. These houses need plenty of sunlight and a pesticide-free environment. Attracting butterflies to your butterfly house is easy! Butterfly houses should be placed in an area that contain both nectar source plants and larval host plants. Be sure that you use more than one type of nectar source plant, and that they are native to the area in which you live. 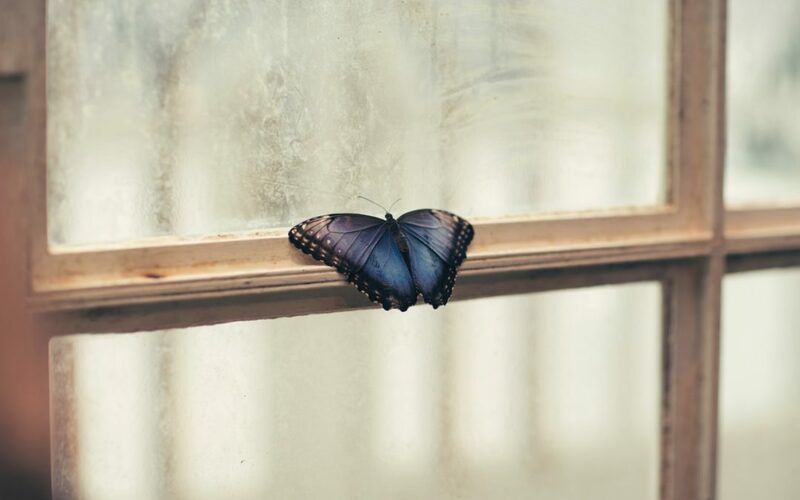 If you plan to import larvae, please note that most butterflies live only two to eight weeks, which means that you will have to restock your supply often. Gain knowledge about butterflies in your area. Look for books at your local library or bookstore. Put out your butterfly house in the Spring. Butterflies usually lay their eggs in late Spring and hatch three to six days later. It takes three to four weeks for a caterpillar to pupate and nine to fourteen days for it to emerge as a butterfly.